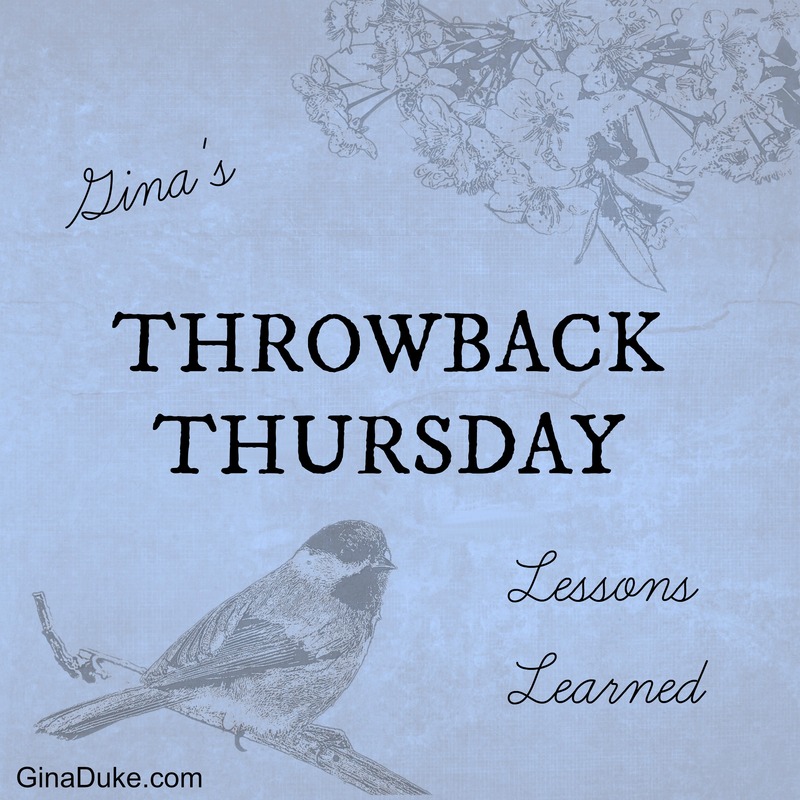 Throwback Thursday//Lessons Learned – Never Take Your Spiritual Heritage for Granted! Do you have a woman of faith in your family, maybe a matriarch, whom has left you a wonderful spiritual heritage? You might even have more than one. For me, my paternal grandmother, Minnie Bell was such a woman. She lived in a trailer in my back yard. Going to her home was like going to church; she wanted everyone to know about Jesus! I stayed with her often. 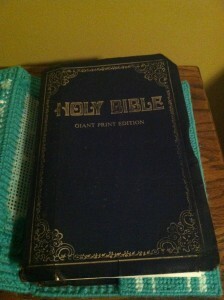 If she wasn’t singing hymns, she was praying out loud or sitting down reading her Bible aloud. She had nine children with a lot of grandchildren. If you were not serving God like you should be, you best be on guard if you dare show up at church on Sunday, because she was going to drag you down to the altar before it was over with – I guess that is how she thought the Holy Spirit worked! All joking aside, it is a blessing to have women in our lives who care about where we will spend eternity. If you have one of those special women in your life, I hope you take a moment to let them know how much you appreciate them. This is my favorite picture of Minnie Bell, as it is just as I remember her. I know I did not appreciate her enough when she was here on earth. I wish I would have sat at her feet like Mary of Bethany sat at the feet of Jesus. 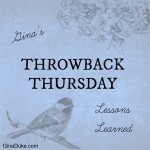 Oh, what I could have gleaned from her! She was truly a Proverbs 31 woman. 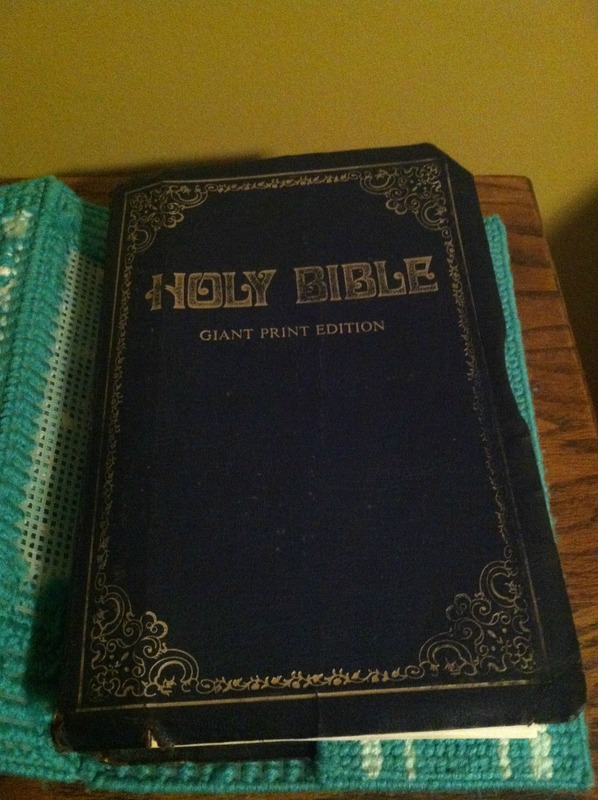 When she passed away, the preacher overseeing her funeral was given her Bible which was heavily annotated with her remarks, to review in preparation for the funeral. 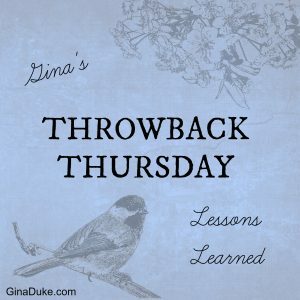 He immediately went to Proverbs 31 and found a note that said, “Please let no one use this as a text when I die.” Despite her godly life, she obviously did not feel as if she had lived up to the standards of the proverbial wife and that grieves me dearly. 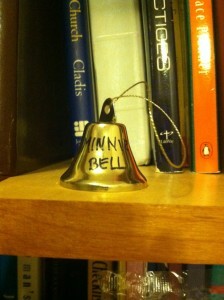 Everybody needs a Minnie Bell. According to my Aunt Clarise, my grandmother felt led to minister the Word of God, which explains why she was apt to jump up without warning, and occasionally help our pastor preach. 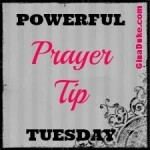 But because she had nine children and no driver’s license, she could not see how she could fulfill that calling. If I could tell her anything today, it would be that she did live out her calling and greatly influenced others, especially me. Just in the past few years I’ve learned that Minnie Bell felt this calling into ministry, and of how she had asked God to pass her calling down to one of her children. 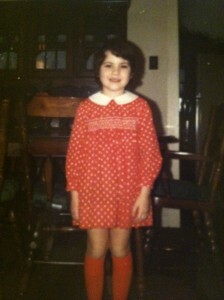 That reminded me of a childhood memory where Minnie Bell came frantically pounding on our door one early morning. It was still dark outside, so she must have waited until someone had turned the lights on indicating we were up. We rushed to see what was the matter! When we opened the door she announced to my daddy, James, that God was going to call him to preach. He responded, “Now mama, God’s not calling me to preach and you’re not going to call me to preach”. Looking back, I think just maybe God was showing her that her unfulfilled calling was going to be passed down through my father to me. It was as if her calling was going to fall to the house of James, so to speak! 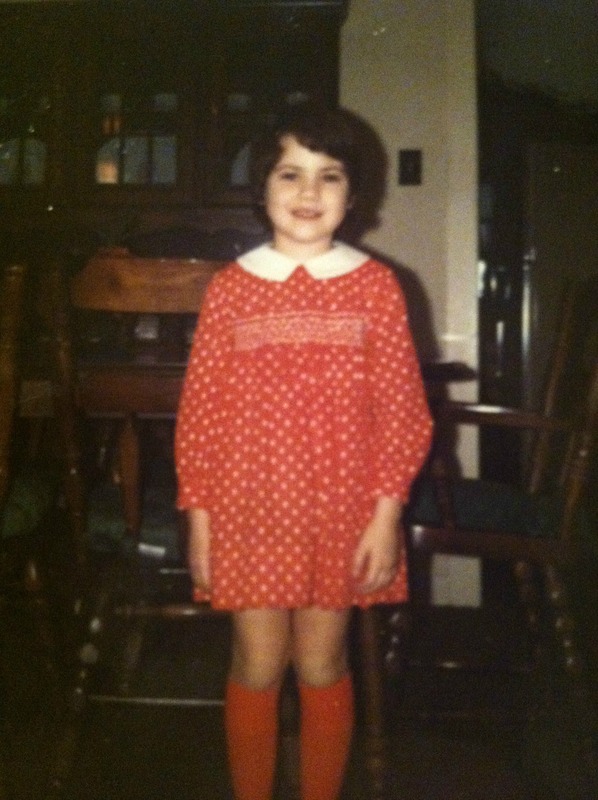 I was probably about five when this happened. It is the culmination of all of these beautiful memories that further confirm my call to ministry. 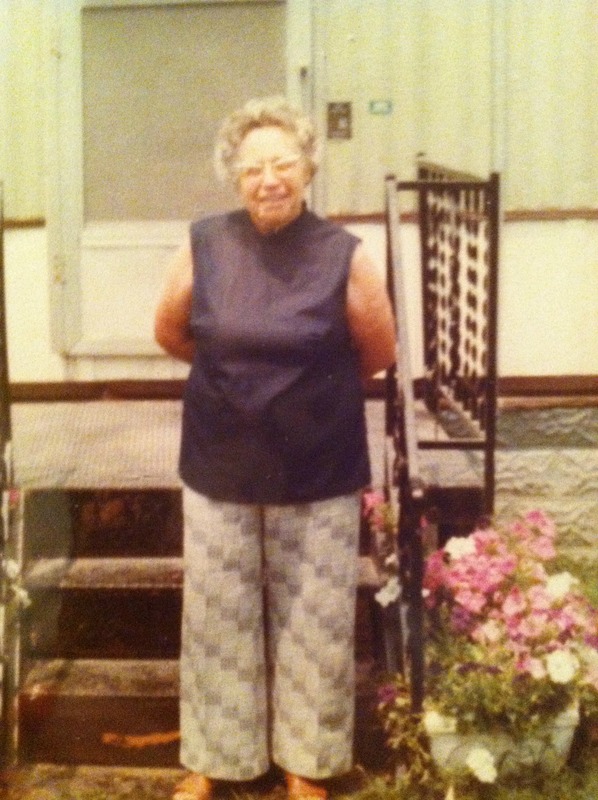 As such, on this Throwback Thursday I pay homage to my grandmother, Minnie Bell Black. 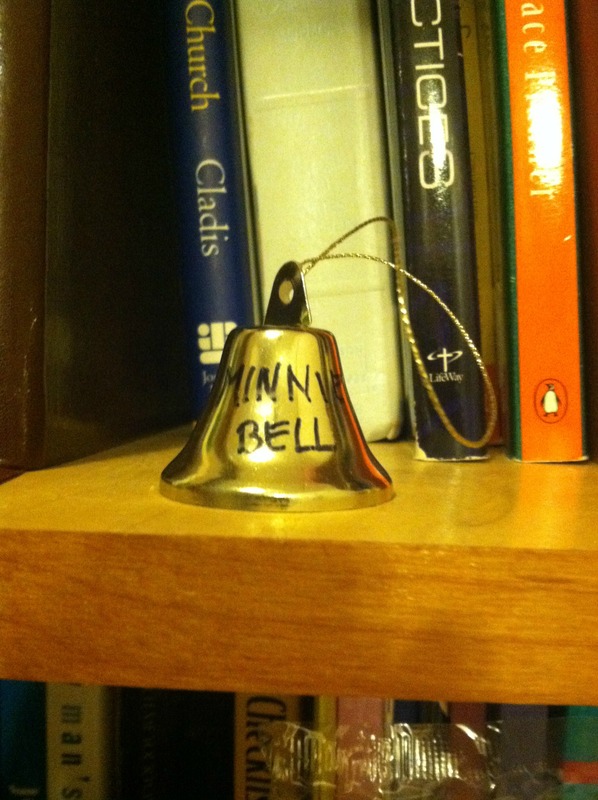 I have an actual little mini bell that I like to pick up and ring from time to time to remind me to make good on the calling that has been passed down to me because I want to make good on Minnie Bell’s wishes and God’s calling. Who has influenced you the most spiritually? Please share your stories in the comments section below. When you subscribe to my blog, you will receive these weekly features. Click and read their corresponding posts. Go here to my home page to subscribe. 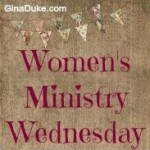 Award-winning author Gina Duke is a wife, mother and Director of Women’s Ministry at her local church. Gina is also a speaker with a B.S. in Organizational Leadership. She is able to bring a clear word for authentic Christian living. Through her book, “Organizing Your Prayer Closet: A New and Life-Changing Way to Pray” (Abingdon Press), she imparts 1 Peter 4:7 with the gift of structured prayer journaling. Gina also blogs and offers numerous videos and resources at GinaDuke.com. You may also follow her on Twitter and Instagram @TheGinaDuke. Such a sweet story! What a blessing to have had her as your grandma! Thanks for linking up today!